If there’s one thing I’m guaranteed in my interviews, it’s that with very few exceptions, I’ll leave it hungry. You’ve heard me comment on it from time to time, and in some ways it’s a hazard of the job. 99 % of the people on the show are intimately familiar with the food and it’s production. I’ve recently started reading Red Sparrow by Jason Matthews, now a movie starring Jennifer Lawrence. It’s a spy thriller, but nothing that I’d describe as remarkable, but with a notable exception. Each chapter ends with a recipe for a dish of food that was served in the proceeding chapter. Since I was listening to it as an audiobook, it’s unlikely I’ll be trying to utilize them in my kitchen anytime soon, but it did strike me as an interesting example of how central food is to our interactions in the world. Food is is the real secret agent in our lives, constantly there, listening in on most of our conversations. Think back to the last social event you were at, was there food? More often than not, in any place where two or more people are gathered together for more than 10 minutes, there’s some kind of food or beverage tying them to the spot. Eating, and the food consumed, is literally a necessity of life. That’s why it’s so important to know where it comes from and who raised it. For generations, food played an instrumental role in tying families to one another. With everyone gathering around the family table to share a meal with one another. When this sacred event was extended outside the family, to visitors and friends, it was a sign of love and generosity. Contrast that with how much of our food is consumed today, with a screen as the object of our attention, rather than a person. Even when dining out with friends, family or loved ones, it’s difficult not to become distracted by the little screen in our pockets. Within the recipes, given and passed down through generations, there’s a history and legacy that comes with it. Every time a grandmother makes a special cookie, soup, or dish, and passes down the way to make it to her grandchildren, it isn’t just knowledge to cook or bake that passes generations, it’s a memory and a connection to the past. 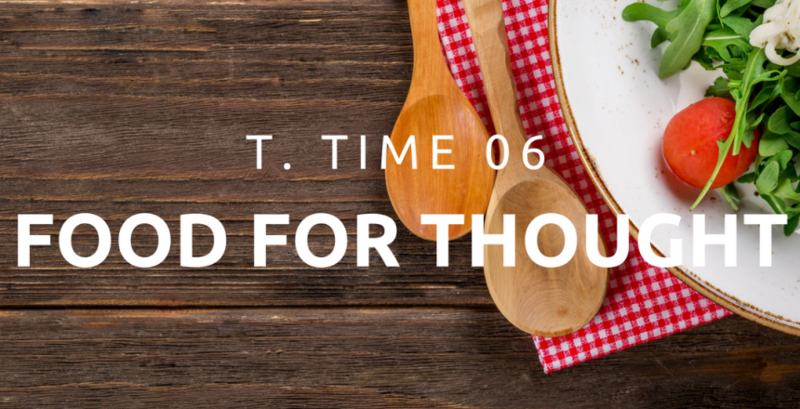 If we think about it or not, food, and it’s preparation, plays a powerful role in our lives. It extends beyond individuals, but reaches out further into generations and even into cultures. A history of a person and people in the food they eat. Today, we’ll leave you with a challenge. Next time you are about to eat with someone, don’t look at your phone. Rarely do we suffer immense harm or emergency if we go off-grid for an hour. Turn off your phone and focus on the other person, and give some attention to the food in front of you, remembering that someone cooked it, and there was a story in how to make it.